ISED Minister Bains unveils the final 17 astronaut candidates. Credit: Canadian Space Agency. 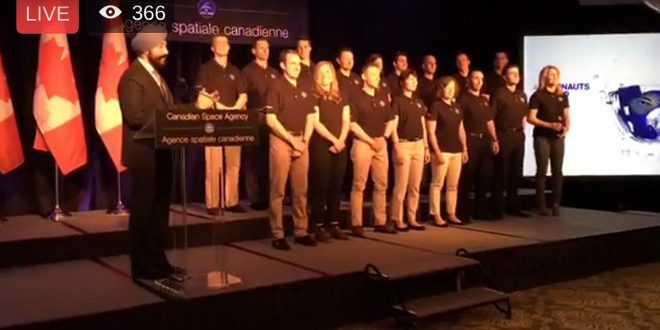 Innovation, Science and Economic Development Minister Bains introduced the final 17 astronaut candidates today in Toronto. They include ten members of Canada’s military and seven civilians. 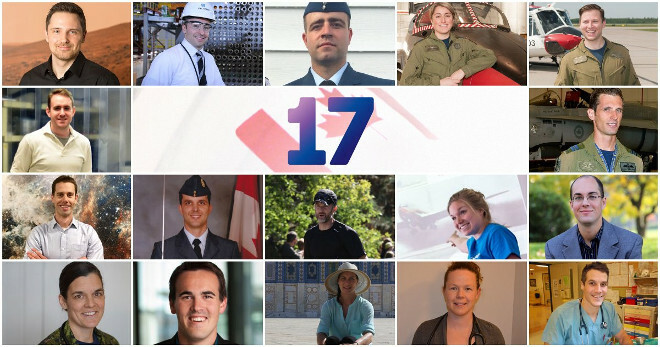 The 17 final astronaut candidates. Credit: Canadian Space Agency.